Ahoy me hearties!! We be Abbie McGowan, Alex Murray, Byron Nilsson and Gavin Keen captains of the good ship Team Hancock. 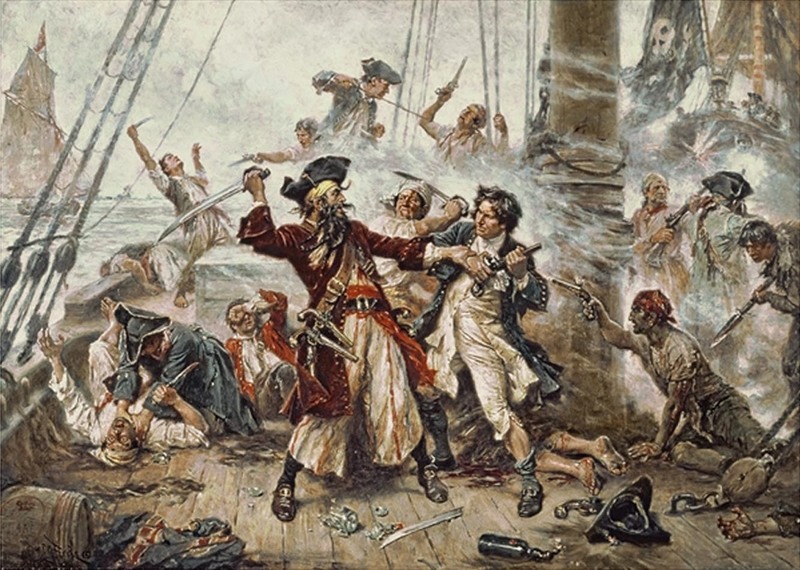 Our blog shall be about Piracy and the evolution of the representations of pirates focusing on sources from the 18th century. This choice of topic was decided because although pirates are universally known they are stereotypically thought of in the fictional sense, so we intend to provide a realistic interpretation of pirates as a whole and the role of key individuals. We are The Good History Team and have chosen to look at President Putin’s use of propaganda, the reactions it provokes in both Russia and the west and then to compare it to Soviet propaganda under Stalin’s regime. Through this we hope to assess the extent that Stalin has influenced Putin’s rule and to look more broadly at the effect of propaganda in the modern world. A focus on propaganda means that we have a wide variety of sources to analyse such as the more traditional methods of propaganda existing in the Soviet era that include posters, state newspapers and speeches but also sources that utilise modern technology such as the internet. We are four first year students at Northumbria University studying history. Individually we are; Dominic, Jack, Joe and Beth but collectively we are team NuBlitzkrieg. 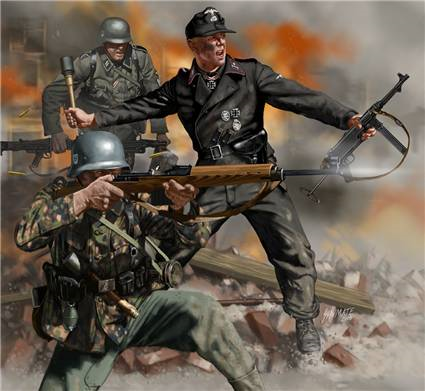 Our combined interest focuses upon the battle of Stalingrad. We chose this because it is one of the most renowned battles that turned the tide of World War 2. 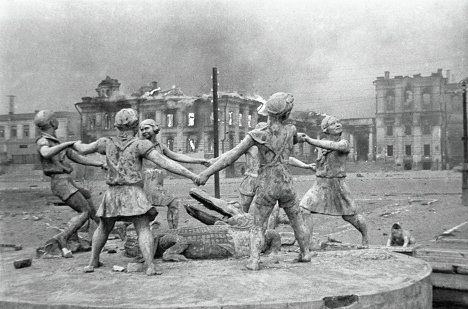 We hope you find our take on Stalingrad interesting and insightful. Marx and Lenin in Russia, 1917-1925. Arguably the biggest impact on the 20th century came from one man, Karl Marx. The ideas laid out in his work (Das Kapital, Communist Manifesto) has shaped regimes that have dominated much of the world’s population; regimes in huge countries like China and Russia have fallen to revolutionaries heralding the Marxist teachings as a kind of ideological banner. The Russian revolution in particular, being the first and most influential Communist revolution, demands attention. Lenin’s spin on Marxism is the key adaptation and most other communist leaders have followed in the footsteps of him. We will look at the way Marxism and Leninism differ through examining Soviet Russia. We will explore the way the Bolsheviks seized power and the policies of the regime once it gained power. Furthermore, we will consider in-depth consider the keynote policies of the era; War Communism and the New Economic Policy. Marxism is can be summed up in three words; revolution, progress and class. Marx’s main idea is that economics drives class conflict, which in term determines history. Lenin differs from Marx in a few key areas; Marx wanted an intermittent “dictatorship of the proletariat”  to shepherd the people toward a stateless society, Lenin however decided the dictatorship of the proletariat would be perpetual. Similarly disregarding Marx strict instructions, Lenin discards the bourgeois revolution and instead provokes an uprising of the peasants when Marx believed in five stages of revolution in order to bring about his communist utopia. The theory of Marxism states that Capitalism creates an inherently corrupt class system that thrives off the exploitation of the working class by the upper and middles classes. As Capitalism is both an economic and political system, this exploitation inevitably creates economic and political conflict and thusly Marx states that the natural evolution of human kind would then be to have a bourgeoisie revolution first, then to have a working class revolution to over throw their oppressors. Marx believed that the ultimate stage of this evolution was for humanity to reach a point over centuries of change to a society where there is no government, no sense of nation or class; Marx believed, in his society, we would all be simply, human. The Bourgeoisie revolution is key in the implementation of Marxist theory; the exploitation by the “most revolutionary [class]” would consequently create a “revolutionary consciousness” among the proletariat. Revolution is an important part of Marxism; it can however come through both violent and democratic means. The inevitability of revolution is a crucial part of Marx’s theory; he puts the blame on capitalism. Although revolution is inevitable, Marx does argue it could be a long way off. The bourgeois dominance over the working classes is common place in modern society where the employers have all control and wealth; the bourgeois control of the state (as can be seen by the number of Etonians in David Cameron’s “inner circle”); and nationalism is encouraged to prevent workers uniting by pitting on nation of workers against another. One of the key differences between the two theories is that Marx stated that we would eventually reach a system where there was no need for government and everybody was equal in terms of wealth and class status. He believed society would evolve to a point where everyone would be educated to do the best for society; where there was no such thing as worker as everyone would do all jobs. Lenin disagrees, the need for a strong government is essential to maintaining order and protection. Another key distinction between Marxism and Leninism is that Marxist theory tells us that the natural evolution of man would mean that the bourgeoisie would rise up to overthrow the upper classes. Lenin contradicted this theory by ”skipping a few steps” and encouraging the peasants to revolt in 1917. Nowhere in Marx’s communist manifesto does it state that the peasants should or will have anything to do with the creation of a socialist society, but Lenin disregarded this in order to speed up his rise to power. Peasants were notoriously conservative in Russia; since peasants were a product of the feudal age they were only concerned with land rather than ownership of factories or the “means of production”. 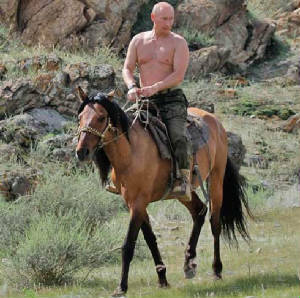 Peasants made up the majority of the population in Russia meaning Lenin needed their backing. It was Russian tradition of communal farming and land distribution according to family size in farming communities that made it appealing to communist revolutionaries. When Lenin gave speeches about the bourgeoisie and the factories they didn’t find it to desirable but in the end he won them over with his promise of “Peace, Land and Bread”. Through the policies of War Communism and the New Economic Policy clear distinctions between Marxism and Leninism become apparent. The main difference is the strict control Lenin imposed over the workers. Where in Marxism the belief is in an egalitarian society; in Russia, Lenin introduced first a vanguard party which would represent the interests of the people through a dictatorship of the proletariat where professional revolutionaries would always have the best interests of the people at heart. Lenin introduced War communism following the outbreak of the Russian Civil War to ensure the supply of the weapons, ammunitions and food stuffs to the troops. This was enforced through strict disciple for all workers and military style control over the railways. Lenin formed a totalitarian state to defend the revolution around a policy that was strictly anti-imperialism; democratic centralism and party building principles which were expansions from Marxism. Lenin’s serious deviation from Marxist ideas means that Russia cannot be seen as a serious application of Marxist ideas; indeed, it seemed the revolution happened too soon. The decision to bypass the bourgeois revolution (which meant there was a lack of a revolutionary consciousness among the proletariats) and the role of an absolutist state are major differences between two different ideologies. Letter from Marx to Joseph Weydemeyer dated March 5, 1852 in Karl Marx & Frederick Engels, Collected Works Vol. 39 (International Publishers: New York, 1983) pp. 62–65. Georg Lukacs. History and Class Counsciousness, 1923. Lenin, V. The State and Revolution, 1917. Ian Adams. Political ideology today. Manchester England, UK: Manchester University Press, 1993. p. 201. How far was America involved in the Bay of Pigs Invasion? On the 17th April 1961, the United States of America funded a CIA military operation attempt to other throw Cuba’s Communist regime, fronted by Fidel Castro. America’s involvement is due to its anti-communist stance during the cold war. Our group is exploring the failed invasion, and the effects it had on both Cuba and America. We have been analysing a variety of sources ranging from newspaper articles to speeches, to look at the invasion from the Cuban and American perspective. Our study has focused on three key events to see how far America was involved these include; the training of brigade 2506, the invasion itself and the how the American press reacted during the aftermath. The planned invasion involved the training of Brigade 2506, counter revolutionaries of the Castro regime. The training was orchestrated by the CIA and involved combat strategies, ranging from guerrilla warfare tactics to aircraft training at Retalhuleu, a base located near Cuba. America’s involvement in the Bay of Pigs invasion was meant to be unofficial and discreet, this is mentioned by Mark J. White who argues at a meeting with President Kennedy that a plan was emphasised to use Cuban exiles, and he “directed the development of a plan where US assistance was less obvious”. Hence the training of Brigade 2506 shows the U.S involvement at the Bay of Pigs, while also showing the U.S wanted their involvement to be kept a secret. The invasion started off on the morning of the 15th April, with an aerial assault on the Cuban airfields near the Bay of Pigs in an attempt to neutralise Cuban air support. Castro’s government became aware of a pending counter revolution and sent decoy planes to force the bombers to drop early and miss the targets. The next day saw the ground assault on the Bay of Pigs but poor reconnaissance from the US resulted in the landing crafts being trapped on sharp rocks. This was critical to Castro as it gave him time to mobilise his forces and gain aerial superiority and to fire upon the immobile Brigade. Kennedy decided to withdraw US air support following global condemning of Western interference in Cuba, abandoning the brigade in Cuba. The catastrophic failure cost the Brigade 400 lives and 1,200 captured. 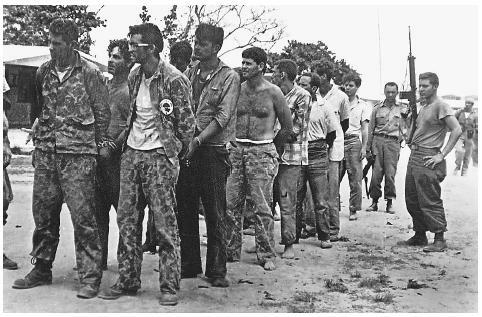 The Bay of Pigs invasion was an unprecedented failure, the military operation to overthrow Castro’s communist regime lacked organisation especially the air support failures, such as the cancellation of a second strike and cut back of “priority targets’’. The declassified CIA document once again enabled us to see that ‘Washington was fully implicated in the plan, but did not want the wider world to know it’. American news commentator Michael Fitzmaurice in NEWS OF THE DAY newsreel explained the ransom demands of Fidel Castro after the failed invasion of Cuba, Castro demanded 500 tractors in return the 1200 rebel prisoners captured. America was forced to comply as the invasion was a huge failure and an international embarrassment, and they tried to deny all involvement in the attempted coup. The Bay of Pigs is an example of American imperialism endeavouring to expand their influence and crush Communism; however this attempt failed resulting in one of America’s largest military catastrophes in modern history, until the disaster of the Vietnam War only a few years after. The liberal leaning New York Times, an American newspaper, presented the Bay of Pigs from a neutral perspective; there is no mention of America’s involvement because at the time Kennedy denied any involvement. The article is written in a factual manner with little bias, thus showing the lack of knowledge the American press had about the CIA involvement in the aftermath of the invasion. Ultimately The Bay of Pigs represents America’s attempt of forcing imperialism on smaller nations, as well as showing the length they went to try and stop the spread of Communism. This is shown with the lengths they went to to train Cuban exiles which included aerial training as well military invasion techniques, months before the invasion. Finally, the aftermath of the invasion was attempted to be covered up by the Americans, as Kennedy described the event as ‘Cubans fighting Cubans’. The Bay of Pigs was a disaster for the US and, if anything, strengthened Castro’s regime rather than destroyed it. New York Times article, Date 20th April 1961 ‘http://search.proquest.com/docview/115412108/141C1FDF59140137B3E/3?accountid=128 60’. The Bismarck: Sunk or Scuttled? May 1941, Great Britain was in a precarious situation. German forces were marching through Greece and Crete; the British campaign for their defence was fast becoming a disaster. 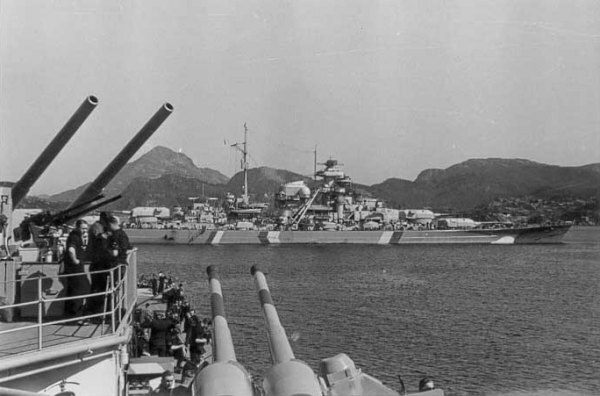 To make matters worse for the British, the German battleship Bismarck, the most powerful ship afloat was about to break out into the Atlantic. The British knew she had to be stopped at all costs. Things came to a head on May 27 1941, when severely crippled; the Bismarck was caught by the Royal Navy before sinking. Following the sinking, debate raged as to whether the ship was sunk or in fact scuttled. Emily Davison: Martyr or Mistake? In our group, we decided to focus on the Women’s Suffrage movement and in particular, the controversy regarding the death of Emily Davison. This took place in 1913 at the Epsom Derby in her attempts to pin a suffrage rosette on the King’s horse. At the time of her death, she was portrayed as a Martyr, however, there has been an ongoing dispute as to whether this was in fact true or whether it was just a terrible accident. In an attempt to discover whether or not her death was an accident, we looked at a range of sources, such as newspaper articles, video footage, police reports about Emily Davison, and a recent reconstruction of what happened on that day. 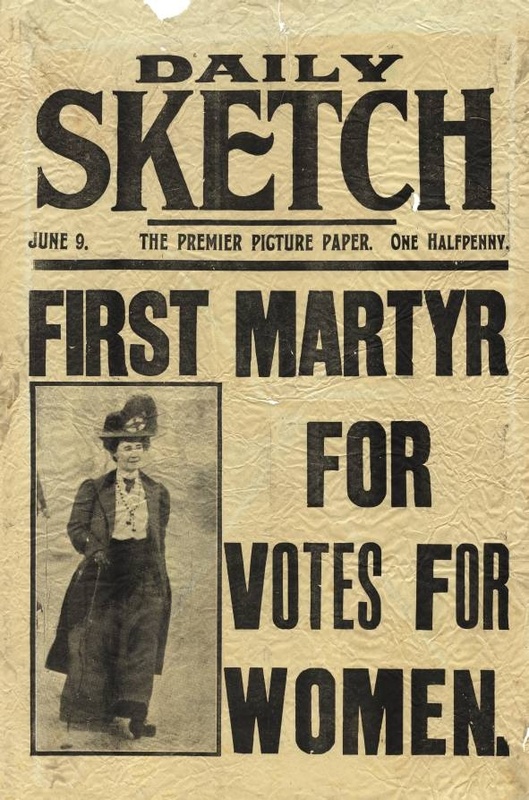 We also looked at more general sources on the Suffrage movement such as propaganda and photos in order to gain more knowledge on the topic as a whole, and from this we decided to focus on Emily Davison’s death. Emily Davison’s death has always been a point of debate and controversy. There are a plethora of sources regarding the event questioning her intentions, and whether she deliberately died for the suffragette cause. Davison is on record having said to her doctor in 1912 that ‘a tragedy is wanted’ within the suffragette cause. This could imply that she was willing to carry out the event at Epsom to produce the tragedy she believed the movement needed. Davison had formerly shown this through suspected previous attempts to kill herself during her time in prison . This suggests that she was willing to sacrifice herself for the cause, believing that this would provide momentum for the Women’s Suffrage Movement. However, it could be argued that she wanted to take risks in order to produce widespread hysteria around the movement and not necessarily commit suicide but rather run the risk of seriously harming herself to cause a reaction. In addition, Davison may have made the comment in an attempt to create propaganda and discussion regarding the suffrage movement and not actually ever intend for a tragedy to take place. On the day of the Epsom Derby Davison purchased a return ticket, this could suggest that she had no intention to commit suicide at the event. The fact that she had bought a return ticket to the Epsom Derby indicates that she planned to return home; therefore her aims of the day were not to end her life deliberately. However after further research evidence has suggested that it was only possible to buy a return ticket on this train as opposed to a single . This raises debate over whether her objectives were to return home on this day, as she had no choice but to purchase this ticket. However, we are still of the opinion that Emily Davison did not mean to commit suicide due to the fact she had also bought a ticket for the suffragette rally on the same day, therefore this strengthens our argument of her not intending to kill herself. Another argument regarding the death of Davison would consider the effects of attempting to pin the rosette on the King’s horse at the ‘most important race meeting of the year’. The idea to pin the rosette upon the king’s horse was dangerous and to the male dominated audience would have appeared unwise and irresponsible. This reinforces the view which many men held of women, that they were not worthy enough to be enfranchised due to being intellectually inferior and belonging in the domestic sphere rather than the world of politics. Even though the act may have been received negatively by many male members of the public it would have created a catalyst for furthering the debate surrounding the suffrage movement. The fact it involved the King’s horse, meant that there would have been national publicity which would have made the elite in society even more aware of the cause. Overall, there is evidence to support and argue against the idea that Emily Davison did commit suicide at the Epsom Derby. We believe that in conclusion, of all the evidence we have analysed, we have come to the assumption that Emily Davison’s death was not a suicide, but an accident due to a number of key features surrounding the event. Such evidence includes the debate surrounding the railway ticket and how she would be viewed by spectators at the event as well the general public. However, we are still of the view that Emily Davison went to the derby with just the intention of pinning the Suffragette rosette on the King’s horse. Even without the tragic event of her death, this would have gained mass publicity and made the most elite people in society aware of what people were prepared to risk for the case of women’s suffrage. Whether Davison planned to commit suicide her actions on the day of Derby were an important step in furthering the militant aspect of the suffrage movement, which was halted during the First World War and then granted after the war effort in 1918. We are the Jagerbombers Eddie, Ethan, Graham, Andrew and Will. We chose media effects on the Vietnam Waras the topic to create our blog. This topic stood out to us because there is a wide variety of primary and secondary sources including newspaper articles, photographs, recordings and transcripts. We all found this area of history particuarly interesting as we studied it at A level and would like to widen our knowledge further. 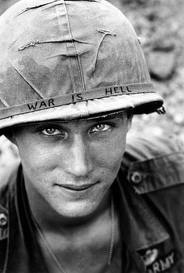 We decided to choose the media portrayal of the Vietnam War as it is referred to as the first televised war. We are the Demolition Raiders, a group of 5 first year history undergraduates, and together we looked at 5 different primary sources relating to the Battle of Berlin in 1945. A variety of sources were used such as newspaper articles, photos and an autobiography extract. The Battle of Berlin was one of the most important battles in WWII and took place between April and May in 1945, it resulted in the end of Hitlers Third Reich. With the topic being so popular there was a wide range of sources to choose from allowing us to discuss in detail the impact of the event.